Broadly speaking, cognac is by distilling wine made from Ugni Blanc grapes using double distillation in copper pot stills. 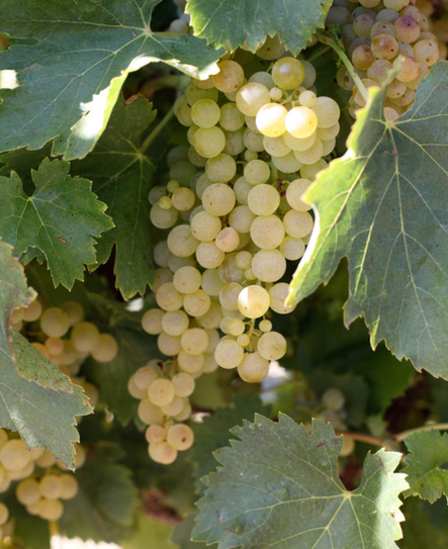 Three kinds of grape are grown in cognac: Ugni Blanc, Folle Blanche and Colombard, although a further four are permitted under regulations which date back to1936 (Jurançon blanc, Meslier Saint-François, Montils, Sémillon). Before the phylloxera louse killed off the vineyards at the end of 19th century, Folle Blanche was the most popular grape. 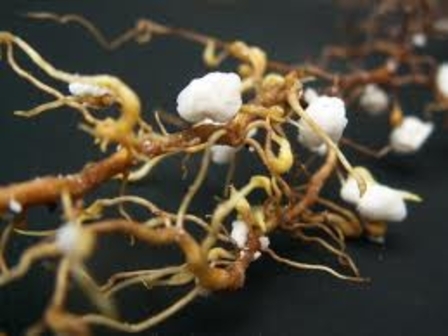 Since the phylloxera plague Ugni Blanc has dominated the Cognc region and all the varieties used have been grafted onto various different rootstocks selected according to soil type. Today over 95% of grapes grown in the region are Ugni Blanc. This late maturing variety does not start budding until early April meaning it is seldom affected by late frosts. It also has a loose cluster of grapes making Ugni Blanc resistant to rot and 'grey mould'. Ugni Blanc produces a wine with high acidity and a relatively a low alcohol content. Chemical products like Sulphur Dioxide which are routinely added to wines in many other wine regions, would be detrimental to distillation so are not permitted in cognac production, consequently Ugni Blanc's high acidity is vital in helping preserve the wine prior to distillation. A few cognac houses still use some Folle Blanche as they believe it adds elegance and lightness to the blend. Colombard is now only generally used for Pineau des Charentes. Typically a vine will produce good grapes for around 25 - 30 years, with its best years being at about twenty years old. When the vines are too old and tired they are grubbed up and replaced. 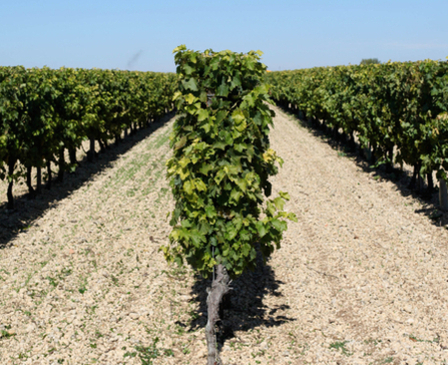 According to the rules of the cognac appellation the soil must be left to rest for three years before it can be replanted with new vines. The new vines must be left for four summers before the grapes can be used for the production of cognac. Harvesting begins as soon as the grapes reach maturity, typically at the beginning of October and the harvest will generally be completed by the end of the month. 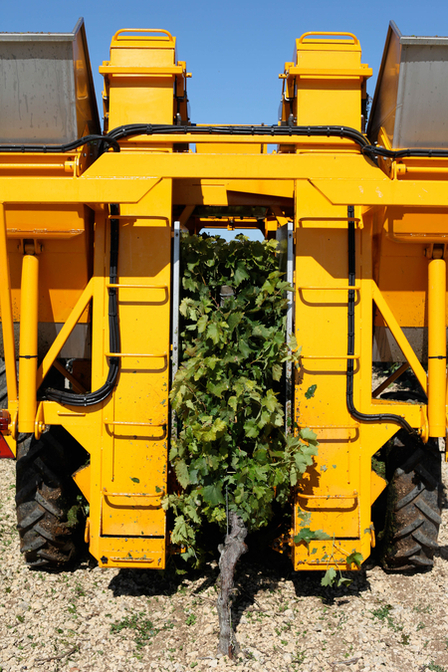 Harvesting is now mainly by machines which vibrate the base of the vines causing bunches of grapes to fall into the collection conveyors of the machine as it works its way along a row. Vertical continuous presses (Archimedes' screw press) are not permitted to be used for the production of cognac (since a 1936 decree) and horizontal pneumatic bladder presses are now the norm, although some smaller concerns still use traditional basket plate presses. Each pneumatic bladder press will squeeze around 22 tonnes of grapes per day by inflating a rubber bladder which gently presses the grapes. Old-fashioned mechanical basket plate presses often squeeze the grapes too harshly causing tannins to be released from the pipes and skins. Each batch of grapes undergoes two pressings with around 80% of the juice released by the first pressing. Chaptalisation (the addition of sugar to the grape juice) is forbidden by the Cognac Appellation. The grape juice is fermented using selected yeasts and after 5 - 7 days a wine of 8.5 - 9% alc./vol. is produced. 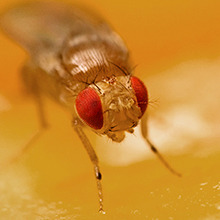 Typically five grams of yeast is added per hectolitre in 800 hectolitre tanks. Nitrogen is also added to help start fermentation. Modern fermentation tanks are water cooled to keep the temperature within the fermentation window of 15 - 30°C. They may also be aerated to speed fermentation. Secondary flavours arising from the fermentation process include banana and strawberry. Cognac distillation is tightly controlled by the terms of the appellation. The wine is held in large storage tanks to await distillation, which usually starts at the beginning of November and continues day and night until that vintages wine has been distilled. 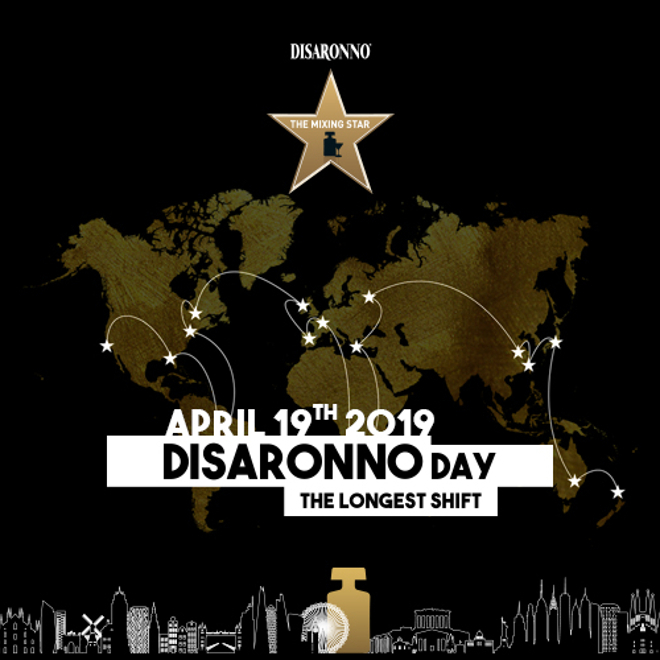 This process must be completed before 31 March, a rule originally introduced to insure the oncoming warmer weather did not induce secondary fermentation in wines still awaiting distillation. Modern refrigerated holding tanks which also use inert gasses to prevent oxygenization mean this rule is not as relevant as it once was and several houses are now campaigning for its abolishment. 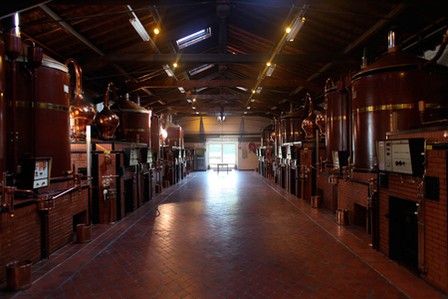 Cognac must be double distilled, with each separate boiling known as 'chauffes'. The copper pot stills (alembics) traditionally used are communally called 'Charentais' but are also known as 'Moor's Head' or Arab's Head' (Tete de Maure) due to the stills heads being shaped like a turban, olive or onion, although occasionally different shapes are used. 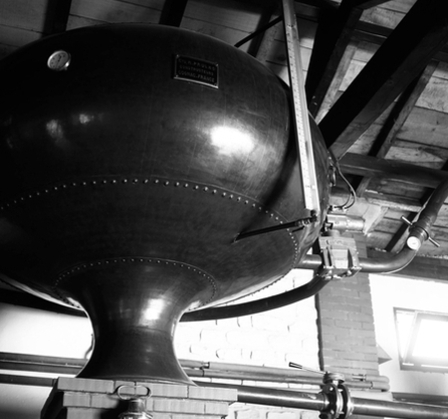 The shape of the still affects the distillate: a flat head will rectify (purify) the spirit while a large bulbous head produces a distillate with more impurities. Originally cognac alembics were heated by burning wood and later coal, but today natural gas is the fuel of choice. The appellation dictates that a naked flame must be used to heat the stills so effectively outlawing the use of electricity. The furnaces of Charentais stills are traditionally surrounded by brick with a sturdy iron door on the front through which the fire was stoked. Thus Charentais alembics look as if they are built on brick plinths. Cognac distillation, separating the alcohol from the water in the wine, is a relatively simple process based on the physics of alcohol vaporising at a lower temperature (78.3°C (173°F) than water (100°C (212 °F). However, the cognac distiller's art is a complex one, one that balances gut feel, experience and science. The distiller must make a judgement between leaving as much of the grape's flavour in the final distillate as possible so running the risk of allowing impurities that may be detrimental to also boil over. Or rectifying the spirit by distilling to a high proof to make a 'purer' spirit and so inevitably lose some of the flavoursome elements which lie in the congers (a collective term for the impurities which include aldehydes, polyphenols and esters). This is the cognac distiller's paradox and it is affected by how much, how quickly and how evenly the still is heated and when the distiller makes the all-important 'cut' (coupe). The cut refers to collecting the run of distillate from the sweet spot of the distillation. This is sometimes referred to as the 'middle-cut' or 'heart' but the proportion of the run that that needs to be collected actually tends to be nearer the start of the run. The first vapours that come off the still start at a high alcohol content and this gradually weakens to eventually just water vapour is given off at the end of distillation (although most distillers stop the distillation at 2% alc./vol.). The initial vapours produced are called 'the heads' and these are condensed and directed to a specific holding tank. The distiller must then judge when to start making the cut and divert the distillate to the main holding tank to become cognac. The last part of the run is known as the 'tails' and this must be separated from the cut and stored in a separate holding tank. The earlier this cut is made, so the higher the alcohol strength and the more rectified (refined) the final distillate will be. As explained earlier, with more rectification comes less of the grape's character. 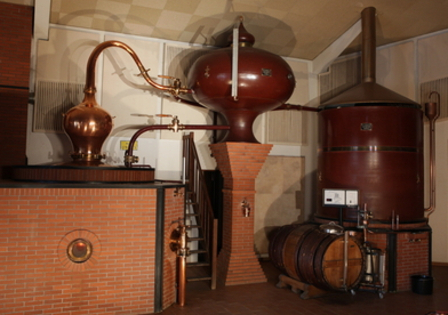 For the first distillation (première chauffe), the still used can contain up to 140 hectolitres of wine. Distillation typically takes 12 hours resulting in a final 'cut' distillate known as brouillis with a strength of 28-32% alc./vol.. The brouillis is then distilled a second time, known as the la bonne chauffe ('the good heating'). Each distillation takes around 12 hours and if distilling on the lees (with yeast rather than bright wine) after each batch the still must be cleaned, meaning an hour or so delay before the still can be recharged and the next distillation begun. It takes around nine litres of wine to distil one litre of eau-de-vie, each distillation taking around 11 hours to complete. As much as half of the run from the first distillation can be heads and tails and these are redistilled with the next batch of wine. Similarly, the heads and tails from the second distillation may also be added to the next batch of wine, or alternatively added to the next batch of brouillis. Whether the heads and tails from the final distillation are added to the next batch before or after the first distillation will greatly affect the character of the final distillate producing a more neutral, less characterful distillate if added to the first distillation as in affect some of the wine will be distilled four times. The other major distilling choice differentiating cognac brands is whether the première chauffe is on the lees or not. This simply means whether the wine used to charge the first distillation has been filtered to remove dead yeast cells or not. Distilling with the lees (dead yeast cells) adds complexity while distilling without the lees will produce a cleaner distillate. Brouillis distilled on the lees tends to have a hint of hay when compared to more neutral brouillis distilled without lees. Chauffe-vin, a heat exchanging device which uses heat from the vapour from the still before it reaches the condenser to preheat the wine to be used in the next distillation. The obvious advantage being that this saves energy but detractors shun chauffe-vin as there is a danger of overheating the wine (above 40-45°C) and an increased risk of oxidisation. The pipework involved is also difficult to clean so also risking contamination. Thus this is yet another option open to distillers which contributes to differences in the final distillate. On many traditional Charentais alembics the Chauffe-vin is easily spotted as a ball-like apparatus which sits high between the head of the still and the condenser. The large cognac houses only distil a small proportion of the eaux-de-vie they require, instead relying on contracts with the thousands of small farmers (bouilleurs de cru) to produce much of their eaux-de-vie. Having purchased spirit from the small family producers, the large Cognac houses then age and blend the spirit before selling it under their own label. An eau-de-vie must spend a minimum of two years ageing in oak casks holding between 270 to 450 litres of spirit before it can be termed cognac. The most common size for modern day casks is 300 litres and some houses now have casks made with their bung holes at the barrel head rather than the side as there is a trend to towards storing casks upright on palettes. The wood from which these casks are made generally comes from the French forests of Tronçais and Limousin forests (Quersus pedunculata and Quersus sessiliflora respectively). The Tronçais forest, in Allier, provides darker, softer, finer grained wood, which is particularly porous to alcohol while the Limousin forest produces medium grained wood, harder and even more porous. Tronçais oak has less tannins and more lignin so is noted for producing softer cognacs, whereas Limousin oak is sought for its robust flavours as eau-de-vie matured in Limousin oak casks tends to extract more tanins. Very mature oak trees are required, well over 100 years old. 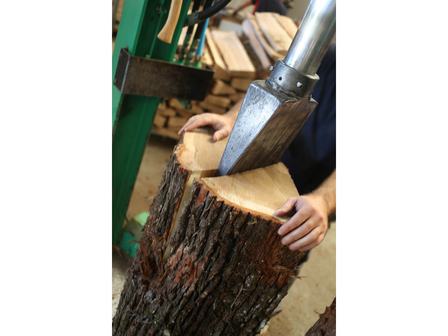 The centre, and outside of the felled trunk are not suitable for barrel making so the 'merrains' or planks used are split along the woods grain and then sawn from between the heartwood and sapwood of each log. Only around 20% of a trees timber will be used by the cooper. The murrains are stacked and left exposed to the elements in open yards for at least three years to allow the young timber's sap to dry and for chemical changes to transform bitter tasting wood cells to ones omitting sweeter vanilla flavours. After seasoning the murrains are cut into staves and highly skilled coopers assemble these into casks by repeatedly moistening and heating the staves to bend them into shape. This process emits a distinctive smell of freshly baked bread. Lastly the casks are toasted in a process known as 'bousinage'. The degree to which the oak is charred will strongly influence the characteristics of the eau-de-vie eventually aged in the cask. Cognac 'cellars' are well ventilated ground level buildings without windows, often with bare earth floors. 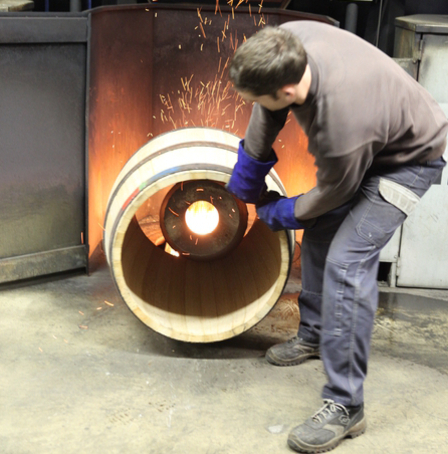 The ageing process usually begins in new oak casks to add tannins to the brandy. After 18 months or so the spirit is transferred to an older barrel to continue ageing and picking up more subtle flavours from the older wood. Casks aged 1 - 4 years are known as 'meures-meur', those aged 4 - 10 years are termed 'barriques rouges' (literally 'red barrels'), while those over 10 years old are called 'vielles'. Very old brandies (between 35 and 70 years) are moved into 50 litre glass demijohns when the cognac has reached the full extent of its maturation to prevent the spirit taking on bitter woody flavours and its strength dropping to below 40% alc./vol. (below which it cannot be sold as a 'cognac'). Cellars containing such very old cognacs are called paridis (literally paradise). During ageing, some of the eaux-de-vie evaporates - this approximately 2% loss each year is known as the 'angel's share'. Casks are topped up every two to three years with cognac from the same batch to control oxidisation and slow evaporation. 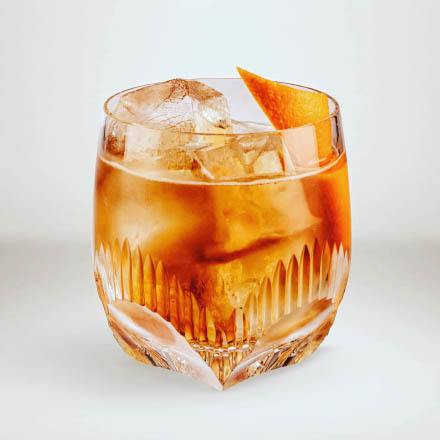 Despite this some 20,000,000 bottles worth of cognac evaporates each year, making the air over Cognac the second biggest market for the brandy after the U.S.A.. The 'angel's share' alcohol vapours feed a microscopic fungus called 'torula compniacensis' and this fungus covers and blackens the walls of the aging warehouses. Cognac is the result of blending at least two different aged eaux-de-vie together. These could be the product of two different vintages from the same vineyard or produced from different vineyards on the same year. Some cognac houses are now bottling cognac from a single distillery but this is still a blend of many different vineyards and ages of eaux-de-vie even though they have all been distilled at the same site. Typically cognacs are blended from numerous vintages across many different vineyards and crus. The better the quality of cognac the greater number of eaux-de-vie it is likely to be blended from with X.O. 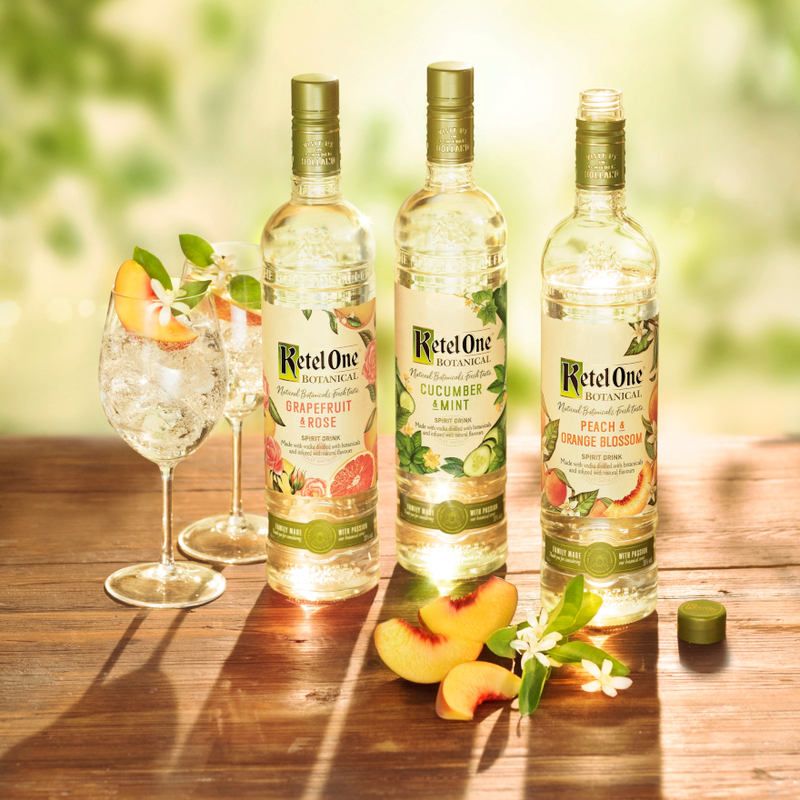 typically blended from at least a 150 different eaux-de-vie. 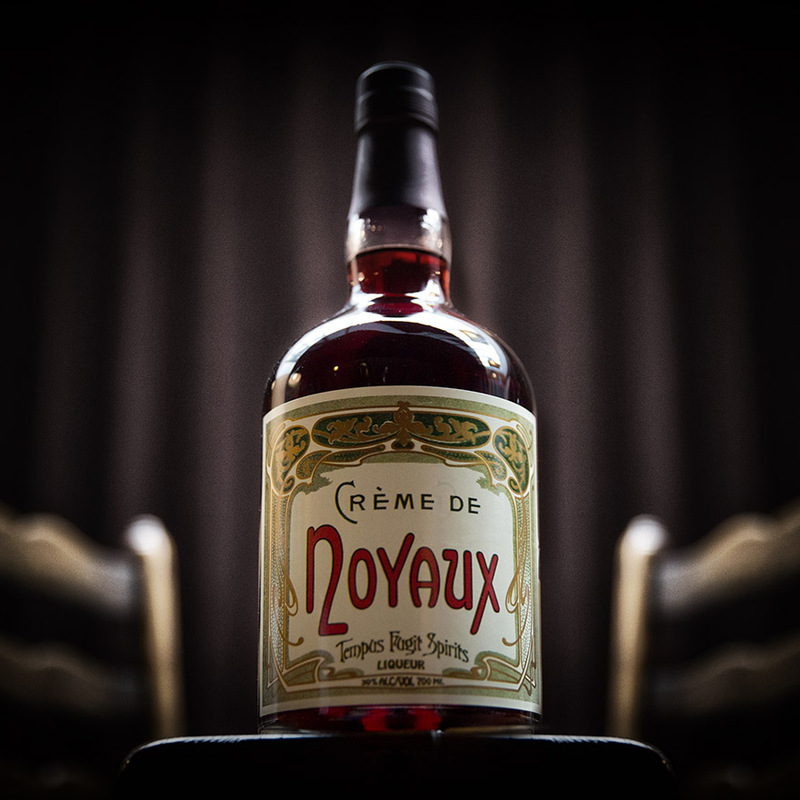 Blending the eaux-de-vie is a highly skilled craft comparable to the 'Master Nose' of a perfume house and Master Blenders (also known as Cellar Masters) serve lengthily apprenticeships before being given the task of maintaining a house's style. There are numerous ways of blending cognacs, and the process often happens gradually over a period of years, as spirits are moved from barrel to barrel and combined. A cognac is sold at around 40% alc./vol. but emerges from the last distillation at 70% - 72% alc./vol.. The eau-de-vie is first reduced to 65% alc./vol. before filling casks for aging to allow better wood extraction and the alcoholic strength will be further reduced by the addition of distilled water (or petites eaux - a mixture of cognac and water) during the ageing period. 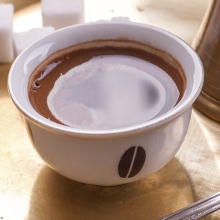 This tends to happen at approximately six monthly intervals, and is done slowly to allow the blend to marry. The older the cognacs are in the blend, the longer the period of hydration. Some very old cognacs reduce to 40% alc./vol. (or even lower) simply by evaporation from the cask during the aging process. When tasting very old cognacs their long finish (aftertaste) is pronounced. After blending it is common practice to put better quality cognacs back into a well-seasoned cask for a period of six months to allow the flavours will marry and integrate before being bottled. Many will be surprised to learn that caramel, sugar and an oak extract called boise are permitted additives to cognac, and indeed the vast majority of cognacs produced include all three - even X.O. cognacs and above. Caramel is added to cognac to correct colour and ensure a consistent appearance, as is commonplace with other aged spirits such as whisk(e)y). The amount of sugar added is so small, usually around 1.5 grams of per litre per litre that it is not noticeable on the palate. However, sugar rounds the cognac, improves mouthfeel and amplifies flavour. The amount of sugar used must be less than 2% of the total volume. 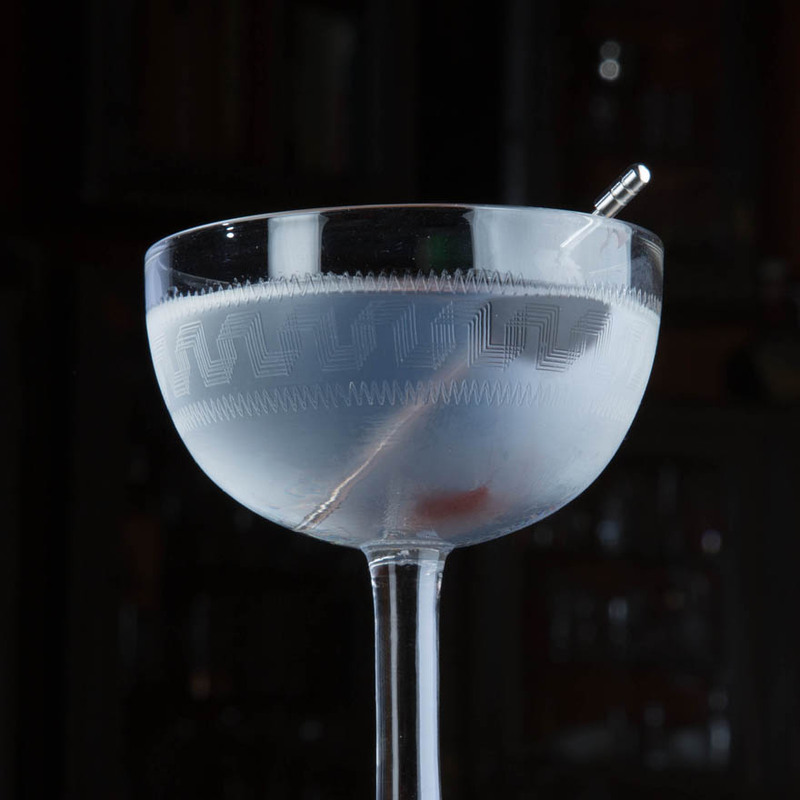 Sugar beet is preferred to cane sugar as beet is more neutral in flavour and better houses mix sugar with cognac and cask age this alcoholic sugar syrup before blending into cognacs. Boise is the most controversial of cognacs three permitted additives and its use is frowned upon by purists but is used by most, if not all, the major Cognac Houses, and a great many of the smaller houses. Boise is basically a dark goo made by boiling wood and reducing the resulting liquid. Many houses pride themselves in the quality of boise they produce, other buy in boise as a commercially available additive. At its most basic the addition of boise gives the impression of extended wood ageing to younger cognacs. 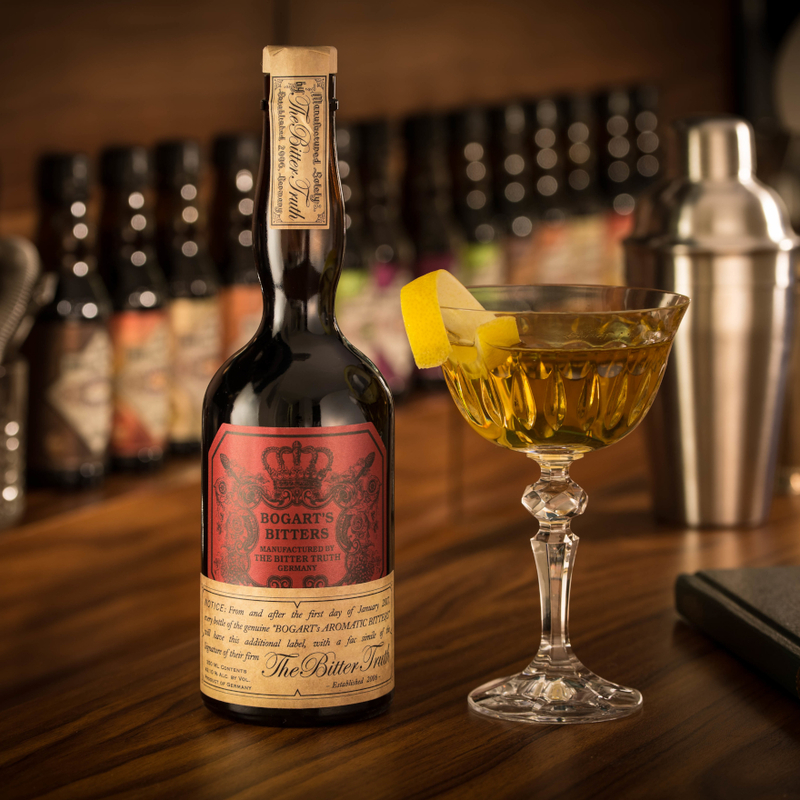 Some argue that well-made and judiciously applied boise can bring accents to a cognac in the same way that a bartender might add a dash of bitters to a cocktail. Others (and I have to admit to being one) are yet to be convinced that it is no substitute for the gentle but profound effects of lengthy maturation in good quality, well managed casks. And that the best cognacs are made only from water, grapes and yeast. The over addition of boise tends to show itself in a cognac by the oak flavours appearing disjointed. I believe that that the image of cognac and its appellation would greatly benefit from the outlawing of boise. However, the addition of boise is traditional and commonplace. It is often added to eaux-de-vie during the early years of maturation and many houses add boise to all their eaux-de-vie, regardless of cru or quality. Consequently, it is an accepted practice that it is here to stay and if a ban on its use was implemented now it would take generations before cognac stocks could be said to be rid of boise. That said, I would love to see a cognac with a label declaring it to be 'caramel, sugar and boise free'. And ideally also 'non-chill filtered'. Perhaps a new 'natural cognac' category could take off.